In writing what I hope is a popular account of the discovery of the Milky Way and other galaxies, I have relied extensively, though not exclusively, on secondary sources — illuminating and often fascinating studies and biographical works by astronomers and historians of astronomy. In some cases, the work of just one or two scholars has guided my approach. The works of Thomas Wright, the subject of my chapter 3, have been carefully analyzed — and in some cases, brought to light in the first place — by Michael Hoskin. His editions of Wright's work include An Original Theory or New Hypothesis of the Universe (Wright, 1750), Clavis Coelestis (Wright, 1742), and Second or Singular Thoughts upon the Theory of the Universe (Wright, n.d.). 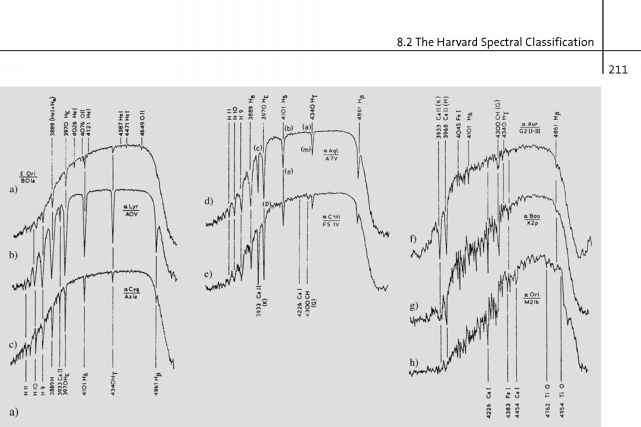 Much has been written by and about William Herschel, and I have used a number of sources, but again, I have found the most authoritative and easily accessible work is that of Michael Hoskin, particularly William Herschel and the Construction of the Heavens (Hoskin, 1963). As far as I know, there is only one biography of Wilhelm Struve besides the one I used, and it is in Russian. I gratefully acknowledge my debt to Alan Batten, author of the English-language biography Resolute and Undertaking Characters: The Lives of Wilhelm and Otto Struve (Batten, 1988). Otto Struve wrote a short biographical account of his father in German, and I have examined this too, but using Batten's book as a guide. Barbara Becker's PhD dissertation on William and Margaret Huggins, Eclecticism, Opportunism, and the Evolution of a New Research Agenda: William and Margaret Huggins and the Origins of Astrophysics (Becker, 1993) is the most comprehensive and detailed study of Huggins' life that I am aware of, and I have also found her treatment of his research on stellar and nebular spectra and radial motion of the stars to be a valuable guide to Huggins' own publications. A scholarly biography of Jacobus Kapteyn does not exist, in part because many of his papers, which were being assembled for a biography, disappeared during World War II. I have used his daughter's biography in E Robert Paul's translation from Dutch to English, Life and works of J C Kapteyn (Paul, 1993a). In 2000, a scientific conference on Kapteyn's legacy brought to light some problems with this translation. Contributors to the conference proceedings, The Legacy ofJC Kapteyn: Studies on Kapteyn and the Development of Modern Astronomy (van der Kruit and van Berkel, 2000) helped put Kapteyn's work in perspective. The best existing guide to Shapley's life is his own informal biography, Through Rugged Ways to the Stars (Shapley, 1969). Shapley's voluminous scientific output has been very helpfully discussed by Robert W. Smith in Expanding Universe: Astronomy's ''Great Debate,'' 1900-1931 (Smith, 1982), and by Owen Gingerich, Michael Hoskin, Richard Berendzen, and other historians of astronomy whose work is cited in chapter 8. David DeVorkin's biography, Henry Norris Russell: Dean of American Astronomers (DeVorkin, 2000), is a useful reference on Shapley, Russell's student. Gale Christianson's biography of Edwin Hubble, Edwin Hubble: Mariner of the Nebulae (Christianson, 1995), has been my chief guide to his life and work. Helen Wright's biography of George Ellery Hale, Explorer of the Universe (Wright, 1966); Smith's book; and DeVorkin's biography of Russell are also, of course, useful for Hubble as well as Shapley. In the rare instances in which I have dug up interesting tidbits on my own, I have tried to make this clear in the notes.